Anne and I lived in Palm Springs in 1987 for about 10 months. I was working for a small chain of restaurants in Los Angeles. I was a workaholic assistant manager who stuck one foot out and that one foot clung to the rung of a very tall ladder that I climbed for many years. My first promotion was to general manager. A position was vacated and I immediately dove for it. I persisted. I wanted it so bad. No one could understand. My boss told me to wait for the next opening. The president of the company stared in disbelief while I begged for the opportunity. Mind you I didn’t look that desperate, but inside I was. The only problem was the general manager’s position was in Palm Springs. About the same time U2 came out with their album Joshua Tree. 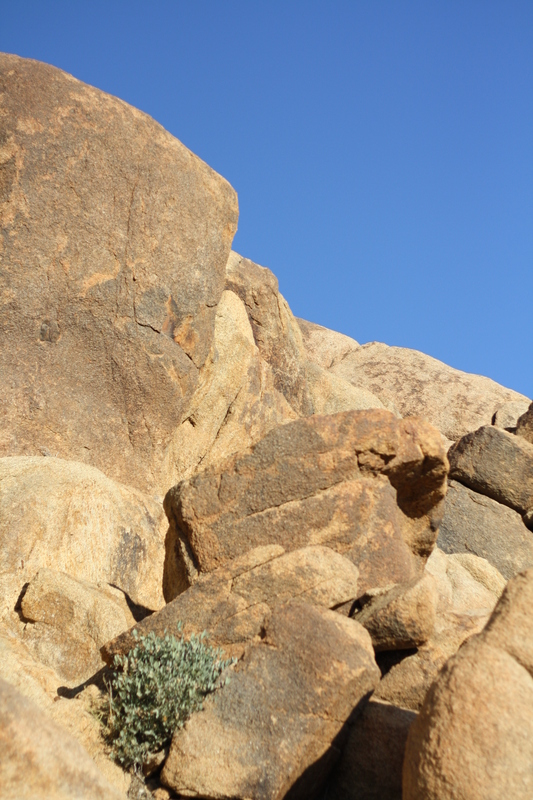 On the album cover there’s a picture of the band in Joshua Tree.. Now Joshua Tree is only about 30 minutes from Palm Springs. It is further east. Just past Indio. Anne and I listened to that album over and over. I had bought an inexpensive turntable when we met and we had about 6-10 albums that we wore out. 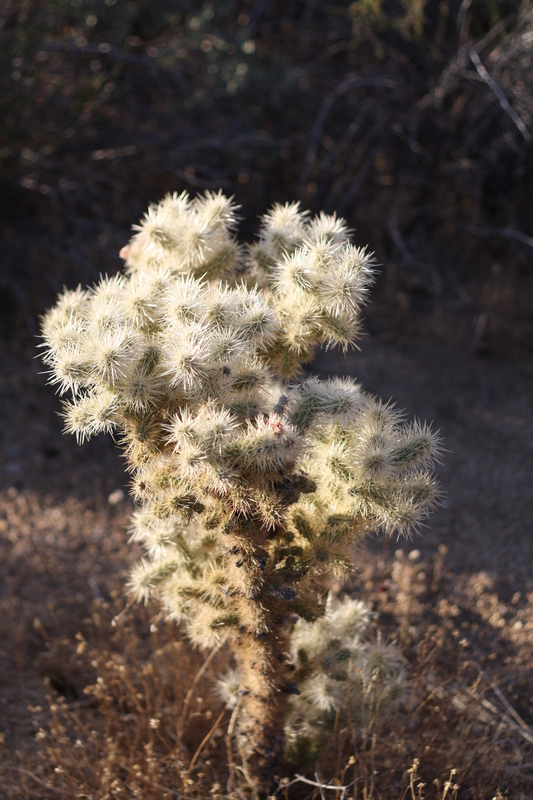 Joshua Tree was one of them along with Paul Simon’s Graceland and Billy Joel’s The Bridge. Palm Spring’s is nice, but it’s littered with the ugliness of strip malls and billboards advertising casinos and adult book stores and beers of every type. Now outlet stores have been added to the beauty of it all. 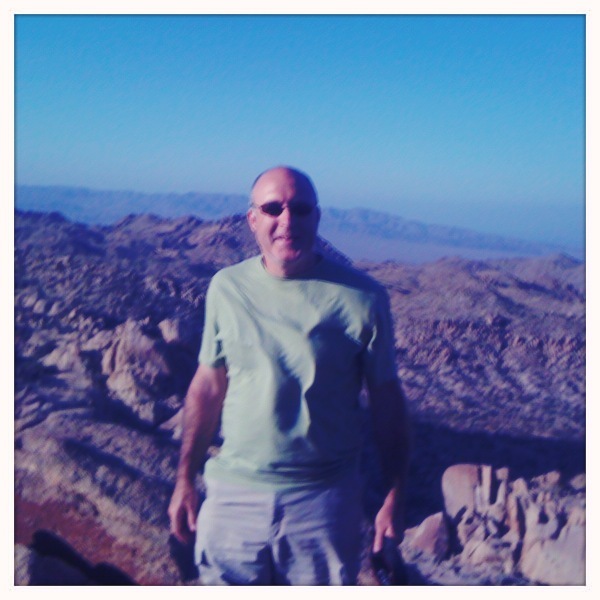 When Anne and I lived in Palm Springs we never drove the short 30 miles to Joshua Tree. I was too wrapped up in my kitchen duties fileting fish in the middle of the afternoon or catching up on piles of paperwork. It seemed so much further than the 30 miles and we already were in the desert so how could it be that much different. We just forgot about it. On my days off, usually Sundays and Mondays we drove to LA and hung out at her parents house. The lower temperature made us feel normal for 48 hours. We feasted on her father’s cooking. He’s Italian and loves to lean over the stove. We’d eat pasta and roast chickens and sausage cooked on the grill. We’d sit at the table and listen to stories and when the food was gone a bowl of sliced watermelon would be passed around the table. Everyone would complain that it was mushy and her mother Francs would simply say “Whatever”. This past Friday I went camping in Joshua tree with 10 other guys. It was a short mini retreat. I roasted chicken and baked some bread for our meals. We didn’t do much, but we hiked twice and I had the opportunity to witness what Bono and the boys experienced back in the 80’s. Joshua Tree was beautiful. The sky was perfectly blue, clean, crisp and untainted by smog and smoke. The sand was coarse and in spots deep like the sand at the beach. 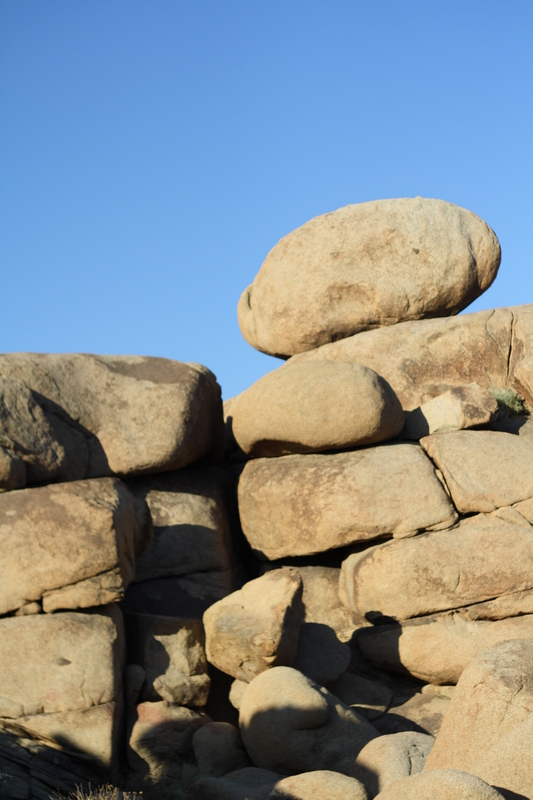 The rocks and stones were balanced on each other as if done by an artist. Their surface appeared pocked with tiny suction cups. When I walked on them the rubber soles of my shoes gripped the stone. The heat during the day was bearable. At night it cooled down enough so that I could sleep and I didn’t wake up with that nasty sweaty desert feeling. I felt pretty damn good. 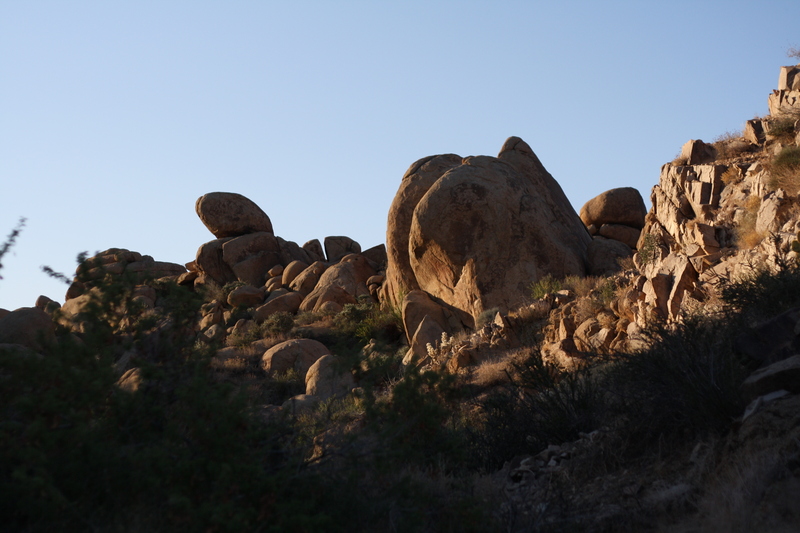 When I got home I told Anne and the boys that wanted to take I them out to Joshua Tree to camp for a weekend. The response was negativo. Anne said no way Jose. James said no and Patrick was lukewarm about the idea. Maybe I better just pull out that old Joshua Tree album because that’s probably the closest I will get to Joshua Tree for the next 23 years.